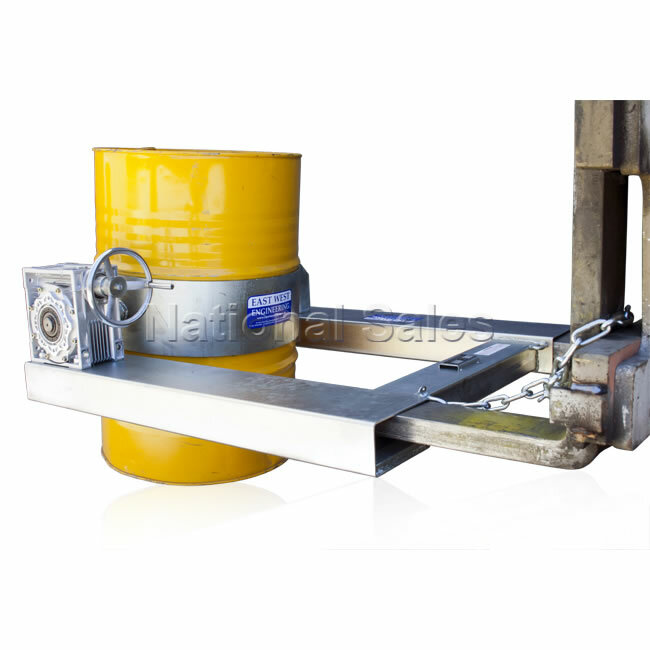 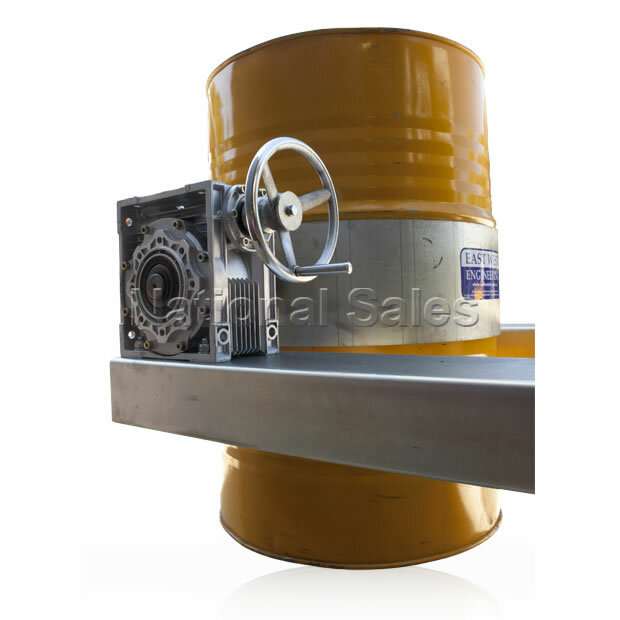 Model NS-DLF-H with handle is suitable for drum rotation when raised up to chest height. 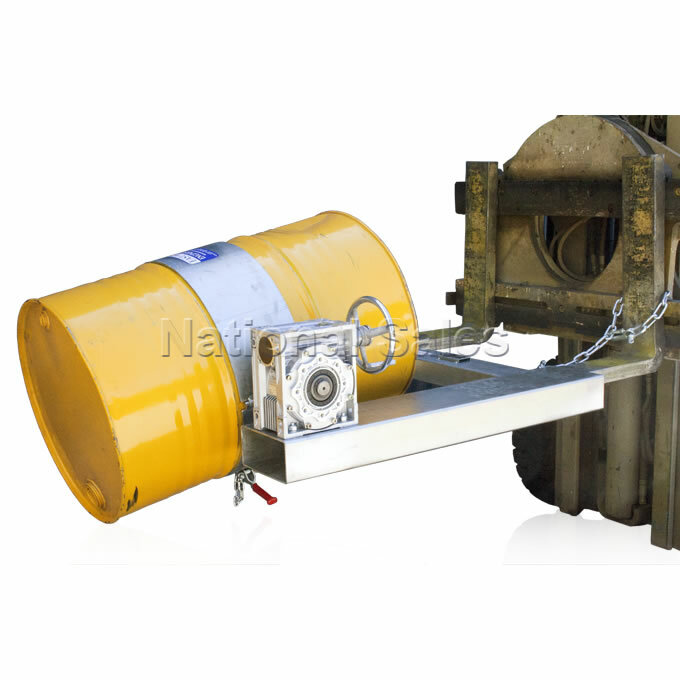 Rotation is carried out via the hand wheel fitted. Minimum effort is required for rotation and importantly the use of a large worm drive gearbox provides automatic braking of the drum during rotation – if the operator stops turning the handle or pulling the hand chain the drum will lock in position preventing dangerous and uncontrolled drum movement as seen on cheaper drum rotators. 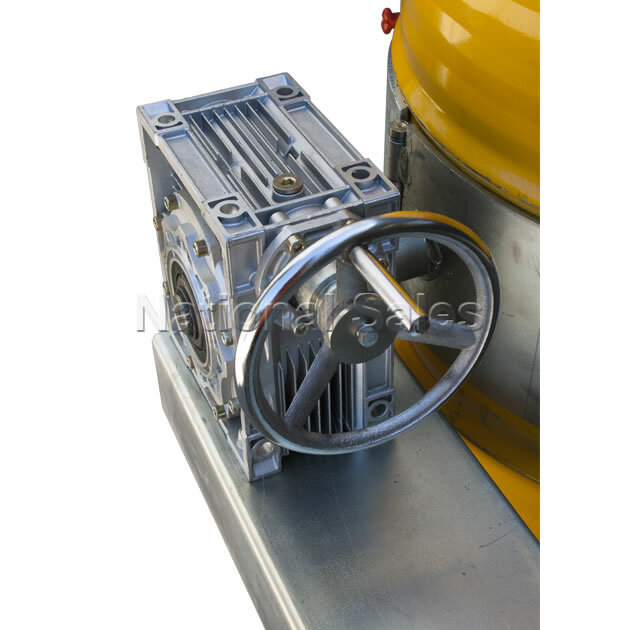 The large size of the gearbox also greatly improves the life of the attachment reducing gearbox failure. 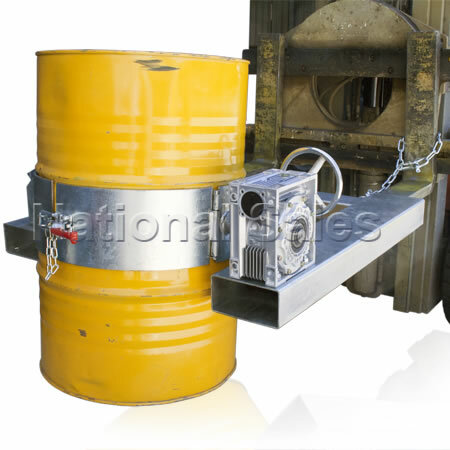 The drum is secured into the attachment with a sturdy belly strap and locked with the over-centre catch. 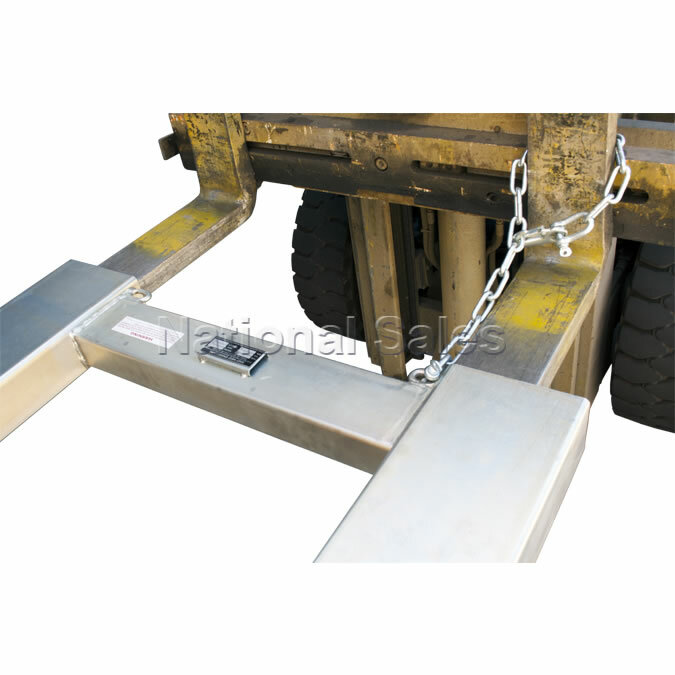 A locking pin is then inserted to prevent the accidental release of the catch during the tipping cycle.